The norm RS-232 (= recommended standard 232) describes the serial connection between devices and was developed in the early 1960s by the US american EIA (Electronic Industries Alliance). 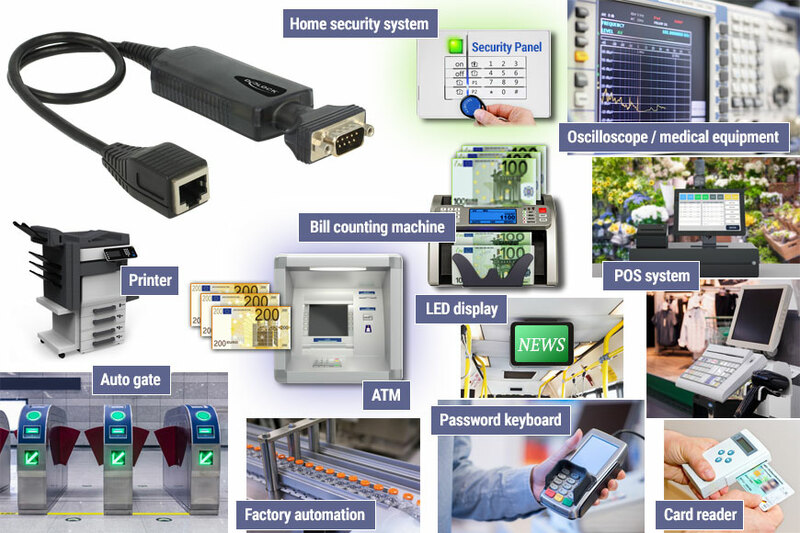 In the industrial context, for more than 50 years and until today, the serial interface offers reliability, security and compatibility with several technical devices and facilities. Machines, automatic control systems, POS systems, instruments, communication technology, sensor engineering and interface technology use the RS-232 standard for data communication. This areas would be hardly to handle without RS-232, last but not least because the functionality of the serial interface is easy to implement and the transfer protocol is well engineered and safe. Some years ago, the RS-232 communication standard was realised in a native way and directly implemented on the motherboard. But in the meanwhile, this connectors are no longer part of the usual equipment of servers, desktop or laptop PCs. Especially with mobile devices, serial interfaces are missing completely. 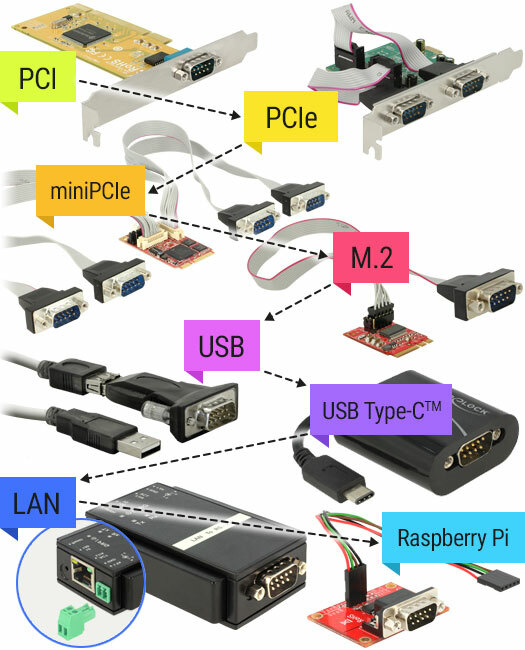 To connect industrial devices, like mentioned above, to current computers, there are two different solutions: Firstly, the internal extension with interface cards (PCI / miniPCI / M.2); secondly in an external way via TTL, USB or LAN converters. But, which solution is easier or more manageable? To solution 1. Interface cards upgrade or extend the system. As a general option is an internal upgrading especially in rough real-time environments without any alternative. To solution 2. On closer examination, the option with converters may prove to be more expedient. 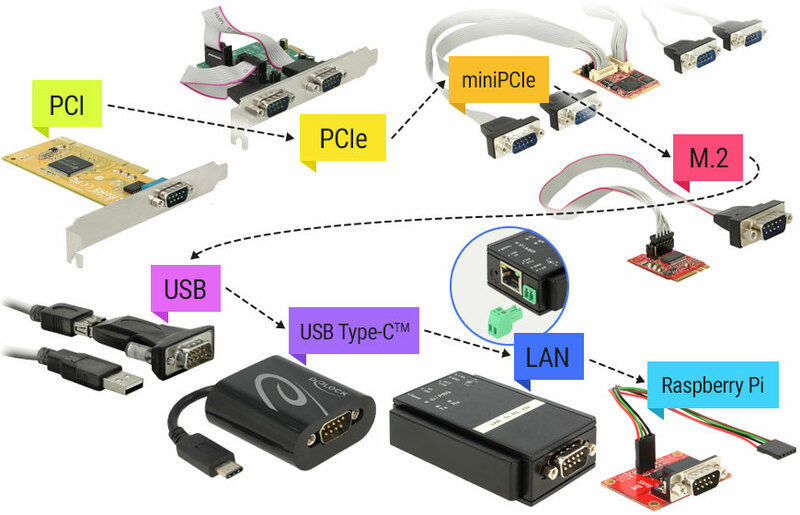 With TTL, USB or LAN converters (for the IP/TCP or Ethernet network) by Delock, absent serial RS-232 connectors can be added easily and everywhere, and so existing systems extended in a flexible way. In comparison with the system upgrading via interface cards, the RS-232 solution with converters is definitely a future-proof option whose further development is not yet complete. That means capability for extension and improvement. 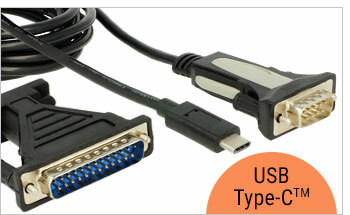 The TTL / USB / LAN converters are compatible to the RS-232 standard. They support the asynchronous full-duplex operation method of this bidirectional interface as well as all control lines (RTS, CTS, DTR, DSR, DCD, RI) of the standard. The features bidirectional and full-duplex describe the simultaneous sending (TX) and receiving (RX) of information. The asynchronous data transfer describes a time-independent method in which every device can transfer and receive data at every time. Principally, a two-wire line is enough in order to exchange data over a distance of up to 1200 meters. Additionally, there is the option for a data flow control (software / hardware control), like provided by the RS-232 specification. Moreover, the TTL / USB / LAN converters by Delock complement the RS-232 standard with some new features offering some advantages in comparison to the usual interface cards. Protective measures like overvoltage protection, ESD protection (protection against electrostatic discharge) or the galvanic isolation help to avoid system failures and increase the availability. 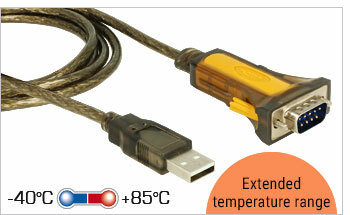 An extended temperature range (-40 to 85 °C) can meet higher requirements and open up new areas of application. With High-Speed RS-232, data transfer rates of up to 1 Mbps are possible. 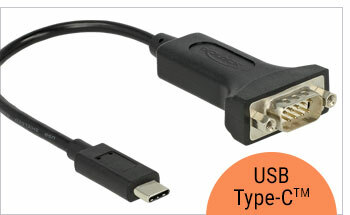 The USB connector supports plug and play, and with its lower power consumption it uses less resources. In addition, converters offer functions for remote wake-up, power management, modem emulation and a far-reaching compatibility. High Speed RS-232 at Delock means data transfer rates of up to 921 Kbps. 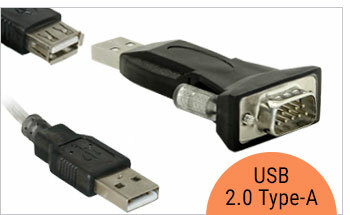 Current TTL / USB / LAN converters can reliably transfer these data rates. So new application areas are opened up, some examples are gateways, fieldbus converters, communication, sensor and interface technologies or IoT (Internet of Things). For the high speed solution with serial cables, generally CAT5 cables are recommended. Because the standard RS-232 cables can transfer these high data rates, free from errors, only about short distances of some few decimeters. 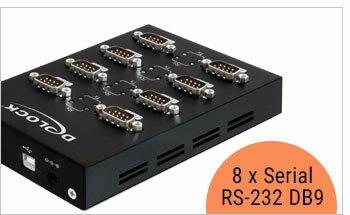 The Delock High Speed RS-232 converters provide signal integrity through USB connectivity from computer directly to the RS-232 communication port, preventing data and transmission errors. This Ethernet LAN to RS-232 converter by Delock (Item 62976) provides a convenient solution to integrate RS-232 devices into a LAN infrastructure via plug and play. 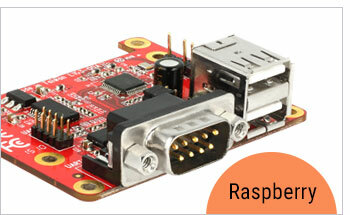 It supports connections to RS-232 devices such as scanners, machines, instruments, routers, I0T devices, etc. A Windows application enables a central control of Ethernet LAN converters. This includes the selection of the desired network interfaces, the configuration of the COM port settings as well as the functions for manual or automatic connections, password protection, device name and MAC hardware addresses.